The spinal column is a complex structure that controls motor function, movement, sensory abilities, and other critical body functions. When the spinal cord or its surrounding structures are damaged, injury victims can struggle to perform even the most basic everyday tasks. The Metro D.C. spinal cord injury lawyers at Mesirow & Associates, PLLC help people who have been injured in serious accidents. Because the spinal cord is such an integral part of the body, this type of injury can be devastating and costly. As serious personal injury lawyers, we can confirm that people who suffer these injuries are often forced to contend with lasting changes in nearly every part of their lives. This is why we work so hard to make sure they get the justice and compensation they deserve. 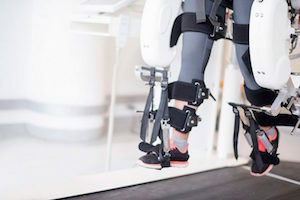 Although most spinal cord injuries are caused by car accidents, these devastating injuries can happen in many other ways, including slips and falls, ATV accidents, bicycle accidents, and pedestrian accidents. Each year, about 12,500 Americans survive a spinal cord injury, but many are left with long-term side effects that result in high medical bills, emotional trauma, and the inability to continue working. According to the Christopher & Dana Reeve Foundation, less than one percent of spinal cord injury survivors recover complete neurological function by the time they are discharged from the hospital. The overwhelming majority of spinal cord injury victims are sent home with long-term and permanent injuries. It’s a heavy burden for anyone to bear. For most spinal cord injury victims, recovery is a long and expensive process. The estimated lifetime costs of a spinal cord injury can quickly reach millions of dollars. For example, a 25-year-old with an injury in the cervical spine can expect to pay $4.7 million in medical costs over his or her lifetime. These extreme medical and personal costs are a strain on nearly any budget. It is common for spinal cord injury victims to max out their health insurance coverage within just a handful of years. It’s no surprise that these devastating injuries often put excessive pressure and strain on their family members. Moreover, medical costs are not the only expenses associated with spinal cord injuries. It is difficult to put a price tag on the emotional and mental costs of these serious injuries, but there is no question that a spinal cord injury takes a tremendous toll on an accident victim’s mental state, as well as the emotional well-being of his or her loved ones and caregivers. If you have suffered a spinal cord injury due to another person’s negligence, the Washington DC spinal cord injury attorneys at Mesirow & Associates, PLLC can help. Schedule your free case evaluation today by calling 866-463-0303.